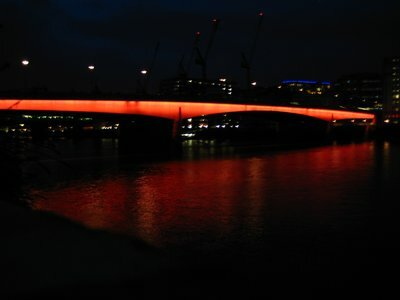 Built in the 1970s, the bridge carries the A3 across the River Thames, connecting the City of London on the north bank with Southwark on the south. It was opened on the 17th of March 1973 by HRH and current Queen of England, Elizabeth II. Designed by the firm of Mott, Hay, Hoe and Anderson with senior engineer Alan Simpson, the bridge is comprised of three spans of prestressed-concrete box girders, built to carry modern day road traffic for years into the future. Despite what you may have heard in nursey rhymes, it is NOT falling down. It is designed specifically not to fall down. As you might guess, this was not the first bridge at this location. 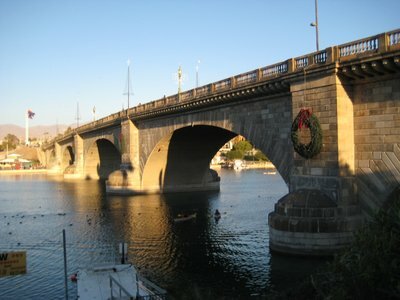 The Romans were the first to built a bridge near the site of the current London Bridge nearly 2000 years ago. It is believed that a wooden bridge spanned the River Thames, most likely a pontoon bridge, from about AD 50. The current bridge is at least the 8th bridge to span the river at this spot. 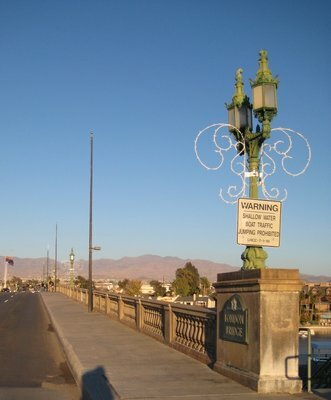 The current bridge replaced a bridge dating back to the 1830s and designed by John Rennie. It was opened on August 1, 1831, and as part of the ceremonies the HMS Beagle sailed under it, the first ship to pass under the new bridge. When it was apparent in the 1960s that the bridge needed to be replaced, London decided to see if they could sell it. 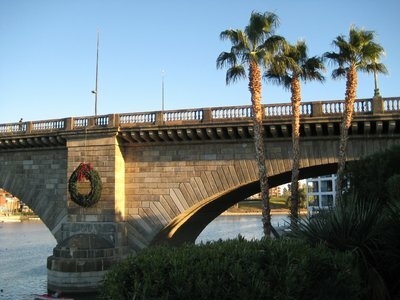 Robert P. McCulloch, founder of Lake Havasu City and a man rich from making Chainsaws, bought the bridge for a little over 2 million dollars and reassembled it over a boat channel in Lake Havasu City, London. Arizona, mostly desert, is known as a place where retirees from around North America come for the warm weather, dry air and early-bird dinner specials. I suppose it is no different for a bridge. 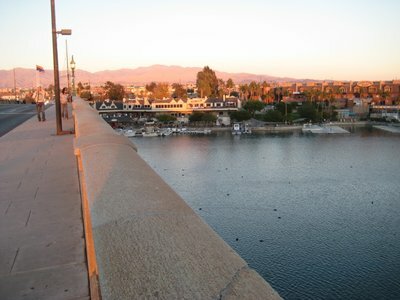 Today the bridge is quite the tourist attraction, pulling in bus-loads of people to Lake Havasu City. 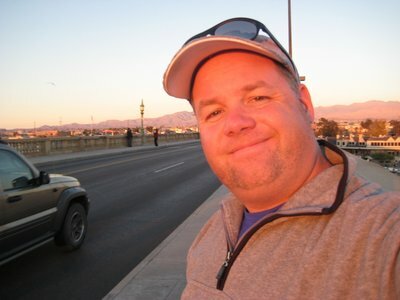 It has become the 2nd most popular tourist attraction in Arizona, behind only the Grand Canyon. Heck, it drew me there. One thing is certain, though. With palm trees, mountains and sunshine, it doesn't look much like London. I have an XM satellite radio in my rental car, and they have a feed from BBC Radio 1. So, in keeping with the spirit of London, I listened to DJs from across the ocean prattle on about Christmas while I drove across London Bridge, 8000 miles from London and the River Thames. If you can't see this video, go to Youtube to view it. I haven't driven yet in the UK, so this was my first experience driving over London Bridge. Traffic was on the wrong side of the road.